Traditional gardens require ample space, appropriate sunlight, and an ongoing time commitment, but container gardening offers an alternative way to grow fresh fruits and vegetables with more limited resources. 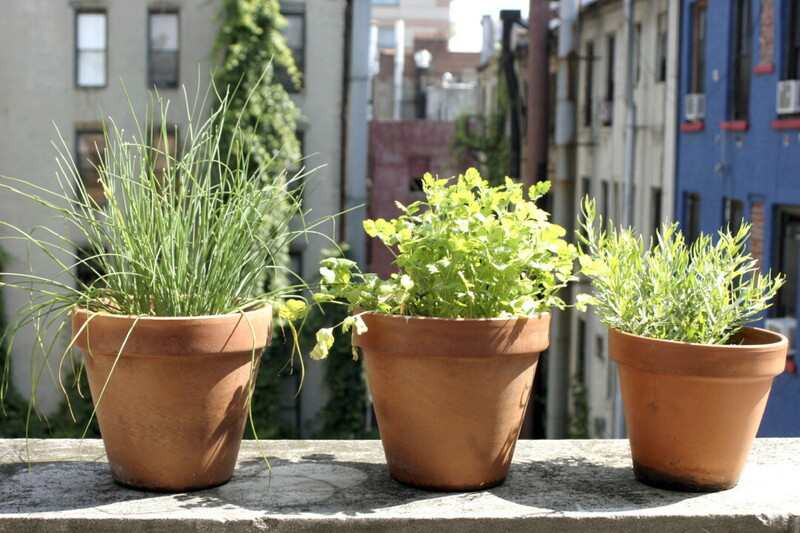 Growing plants in containers offers multiple advantages – it’s easy to accommodate them in any suitable spot such as a windowsill, balcony, deck, or doorstep. Soil in containers warms up quickly, giving a head start in raising vegetables in early spring. In case of frost, containers can be housed in a temporary protected spot or protected with a blanket or floating row cover. Loose, premixed, and well-drained container soil provides a clean start for plant growth by avoiding issues such as compaction, soil borne diseases, overwintering insects, and weeds encountered in traditional garden soils. Overall, container gardening is simple, versatile, almost easy to maintain, and accessible for all ages and abilities, but it also has some limitations. Plants in containers need frequent watering especially during the hot, dry summer season, and containers that hold 5 gallons or more are heavy and may not be easily portable. Choosing the right container to accommodate a mature plant’s shoot and root needs provides stability for upright growth. Plastic buckets, broken wheelbarrows, wooden barrels, plastic trash bags, and trash containers can be recycled for container gardening use. Porous materials like terra cotta and ceramic clay pots or hypertufa planters need a little more attention to watering, as they tend to dry out more quickly than plastic containers. White, tan, or other light-colored containers absorb less heat than dark ones, helping avoid root stress, and sufficient drainage holes at the bottom of their sides are critical to draining excess water. Placing containers on a slightly elevated base such as bricks or paving stones will further ease the free flow of the excess water. Containers should also have the right depth and volume to support the entire plant growth. For smaller plants such as leaf lettuce, onion sets, peas, radishes, garlic, cilantro, and spinach, a container that is at least 2 gallons in size and 4-6 inches deep is required. Larger plants such as tomatoes, peppers, broccoli, eggplant, cucumbers, and beans will need at least a 5-gallon container with a depth of 8-12 inches. In addition, many herbs and salad greens are perfectly suitable for containers. Soilless mixes that contain peat and perlite are the best option for a medium. Morning is the best time to water container gardens. Plants should be watered thoroughly at the base if the top inch of container media seems dry. Organic mulch will help conserve soil moisture in the media, and containers should be moved to a protected area during strong winds. Depending on the type of vegetables, the fertilization schedule varies by two- to eight-week intervals during the growing season. Vijai Pandian is a horticultural agent and educator for the UW-Extension Brown County. This article was originally published on WisContext, which produced the article in a partnership between Wisconsin Public Radio, Wisconsin Public Television, and Cooperative Extension. Learn more at wiscontext.org.